Through this notice, Sotostewart SL with address in C/Sierra Bermeja, S/n Ed. Ayala, 0034956795300, j.stewart@js-sotogrande.com (hereinafter referred to as the Company) informs users in compliance with Article 5 of Law 15/1999 of 13 December 1999 on the Protection of Personal Data (hereinafter referred to as LOPD) of its policy on the protection of personal data so that they may decide expressly, freely and voluntarily, if they wish to provide the personal data that is requested on the website to Sotostewart SL for the provision of their services. The data being requested is adequate, relevant and not excessive in relation to the scope, aims and specific, explicit and legitímate services of Sotostewart SL. Forms must be filled in with data that is truthful, accurate, complete and current, with awareness that damages might arise due to defective completion of the form with false, inaccurate, incomplete or out of date information. Requests for information from companies and individulas, received through the submission of information request forms or other types of information requests, to the person in charge of the file will be treated in such a way as to facilitate the request and to provide information about our services and current and future products that may be of interest. Expressly accepting the data processing for the purposes mentioned above, means pressing the "SEND" button in the information request form (or any other given option for sending the data) in accordance with the requirements Article 21 of Law 34/2002 on Information Society and Electronic Commerce, for sending commercial communications by e-mail and other equivalent electronic media. Users may object to the processing of their data with the above-mentioned purposes, by writing to the address of Sotostewart SL, including in each case proof of identity in order to exercise this right of opposition. Similarly, Sotostewart SL agrees to comply with the obligation of secrecy regarding the data contained in the computerised records as defined by the applicable data protection laws. In particular, Sotostewart SL has signed the appropriate confidentiality and protection of data agreements with all third parties who have access to personal data held by Sotostewart SL pursuant to the provisions of Article 12 of LOPD, committing these third parties to processing the data for the sole purpose of providing the services contracted by Sotostewart SL and to adopting appropriate computer and organisational security measures. Sotostewart SL reports that data collected from the website takes place in a technological environment and that it applies high levels of security and confidentiality in the transmission of information. Nevertheless, the user must be aware that Internet security measures are not foolproof. The user or the person representing him ma, at any time, exercise the right of access, rectification, cancellation and, where ppropriate, opposition in accordance with the LOPD and other applicable regulations. These rights can be exercised by notice in writing to the Sotostewart SL C/sierra Bermeja, S/n Ed. 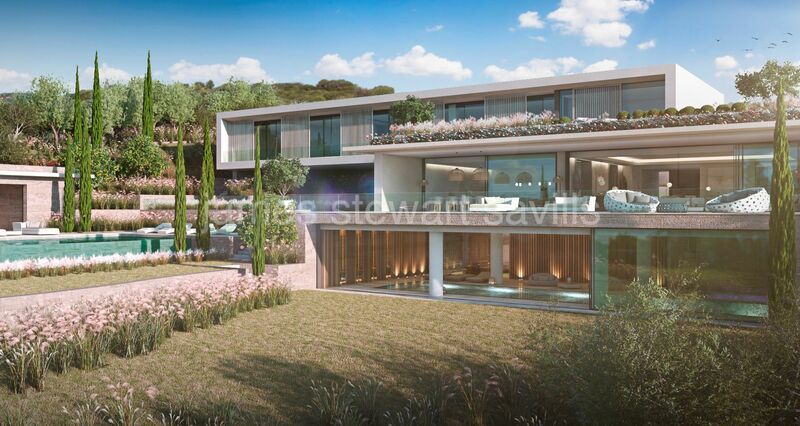 Ayala, including proof of the identity of the user, or to this email address j.stewart@js-sotogrande.com.